Rarely does a gemstone have popular associations with multiple colors. 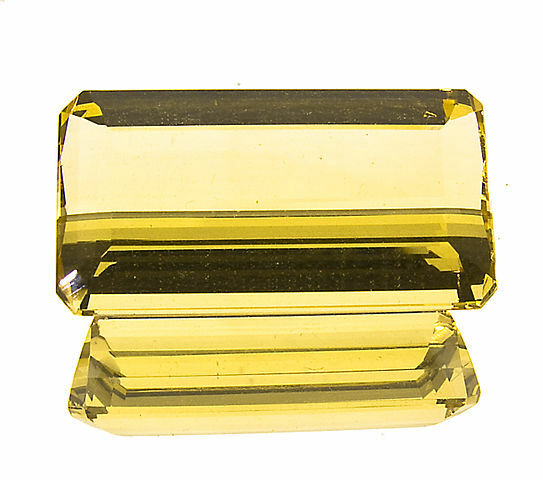 Traditionally, topaz was favored as a golden yellow stone. Nowadays, blue probably ranks as the most well-known (and inexpensive) topaz color. Rare and valuable, imperial topazes can range from reddish orange to pink. These are only a few of the colors these gems can show. Learn how to choose a topaz engagement ring stone that’s right for you. 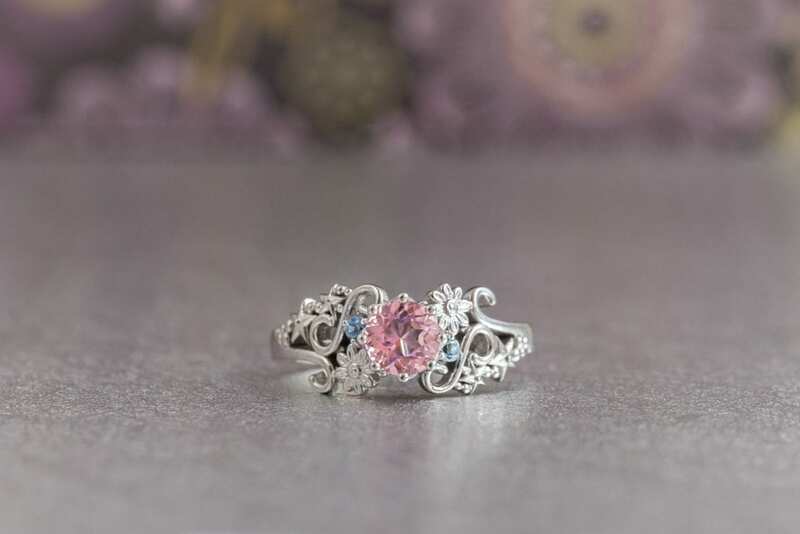 6 mm baby pink topaz center stone and 2 mm aquamarine accents in a flower-and-stars motif ring. © CustomMade. Used with permission. With a Mohs hardness of 8, topazes have great resistance to scratching. They can also take a high polish, perfect for a spectacular ring stone. These qualities, combined with its diverse range of colors as well as prices, make them excellent choices for jewelry. They even count as birthstones for two months: yellow topaz for November and blue topaz for December! Two American states also claim them as official gemstones: topaz for Utah and blue topaz for Texas. Topaz does have one drawback. It has perfect cleavage, which means there’s a plane within the gem where it can crack. One hard knock could split the stone cleanly. As a result, gem cutters and jewelers must take special care when faceting, polishing, and setting the stone. However, once the gem is set it should be relatively safe. Protective ring settings like a bezel should keep the stone safe from knocks, and a skilled jeweler can position prongs so they don’t place stress on the cleavage plane. Aside from surface coated gems like mystic topaz, most varieties have similar physical and optical properties and care requirements. Thus, when shopping for a topaz engagement ring stone, color (and cost) will be your key considerations. In addition to yellow, blue, reddish orange, and pink, topazes come in greenish blue, green, orange, purple, and red. Red and pink stones are especially rare and valuable. Some topazes can display luminescent colors. This green topaz crystal fluoresces golden yellow. 9.4 x 7.5 x 5.0 cm, Trick or Treat Pocket, Zapot pegmatite, Gillis Range, Fitting District, Mineral Co., Nevada, USA. © Rob Lavinsky, www.iRocks.com. Used with permission. This connection between yellow and topaz persists even today. Yellow quartz or citrine is sometimes misidentified as topaz, although topaz is harder as well as brighter — and more expensive. 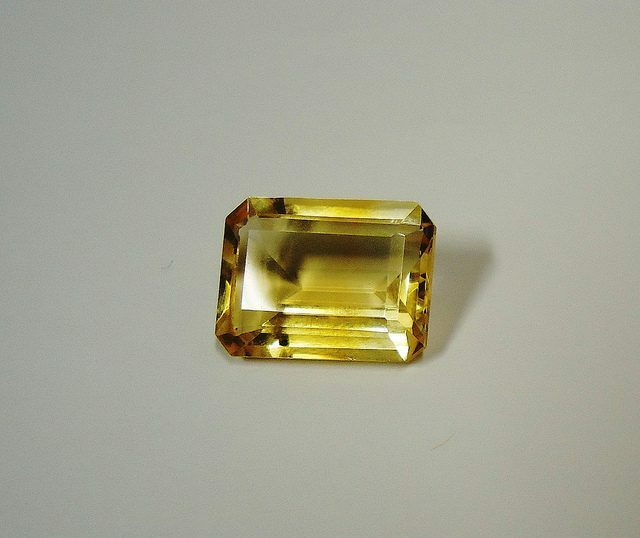 Yellow topaz ranges in price from $20 to $80 per carat. 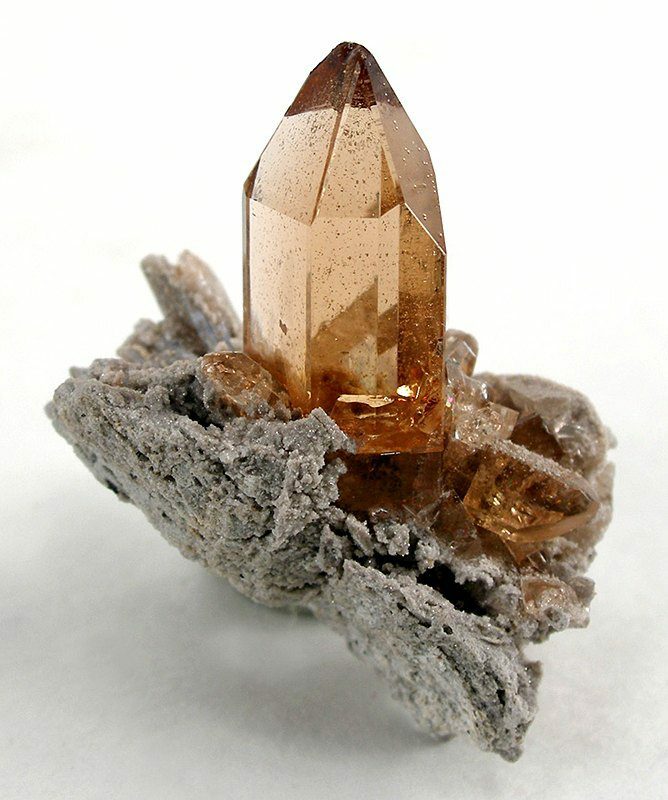 Champagne-colored topaz, 20 x 15 mm, Brazil. Photo by Mauro Cateb. Licensed under CC By-SA 4.0. Most blue topazes on the market today started out colorless or pale blue. Since the 1960s, a two-step heat and radiation laboratory treatment has been used to turn these stones vivid greenish blue. 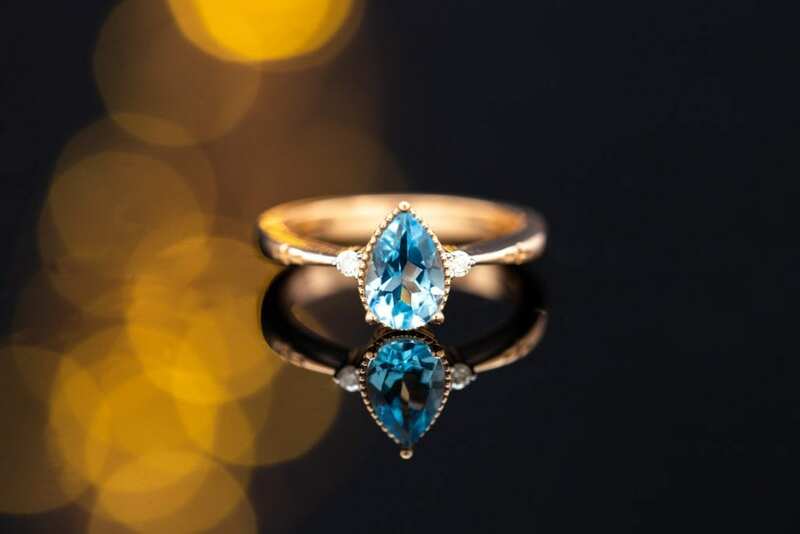 This treatment is usually stable, permanent, and impossible to detect, since natural blue topaz undergoes similar exposures underground, only over the course of millions of years. (Some of these treated gems may have to “cool” for a year before jewelry use, but they should be safe when sold). You can confidently assume all blue topazes you’ll find for sale are irradiated. Popular blue varieties include “London Blue,” “Swiss Blue,” and “Sky Blue.” London Blues have a dark steel blue or grayish blue color. Swiss Blues show a highly saturated greenish blue. As the name implies, Sky Blues show pale blue colors and may somewhat resemble aquamarines in hue and tone. Sky Blue topazes from Brazil. Photo by Mauro Cateb. Licensed under CC By-SA 3.0. 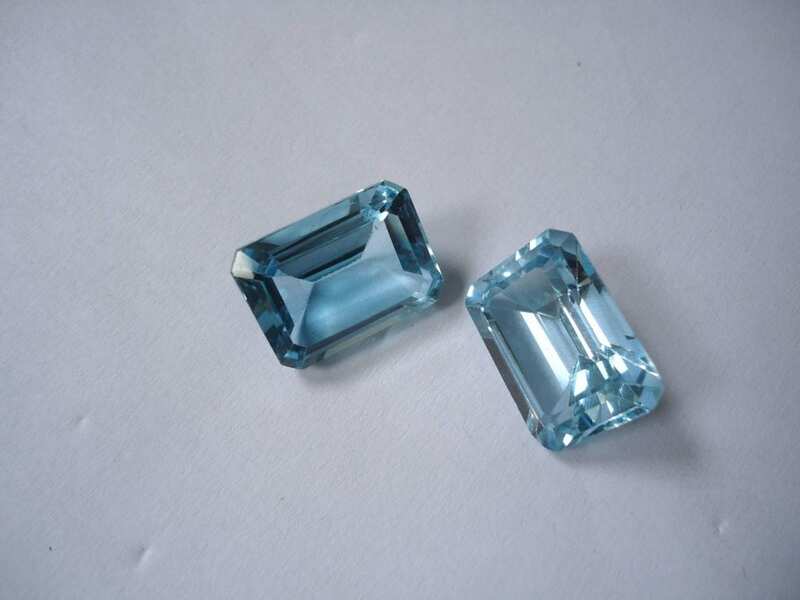 Blue topaz is the most well-known and affordable type of topaz. These gems vary in price from $1-$27 per carat. London Blue tends to be more expensive than other blue colors. Blue topazes do occur naturally. Producers of blue topaz include Brazil, Zimbabwe, and, in the United States, Texas. 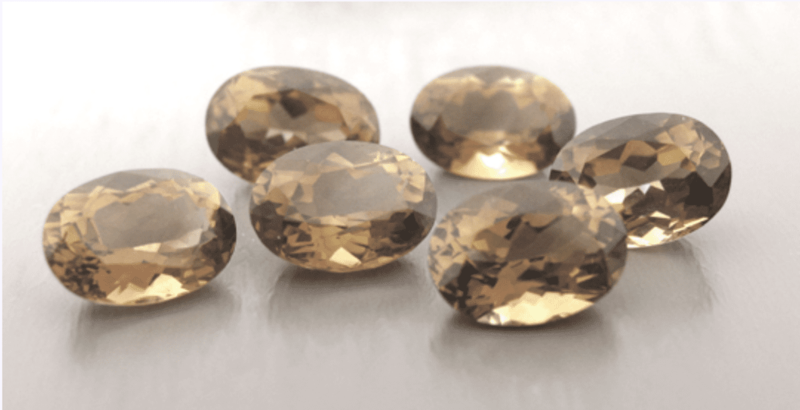 What Color is Imperial Topaz? 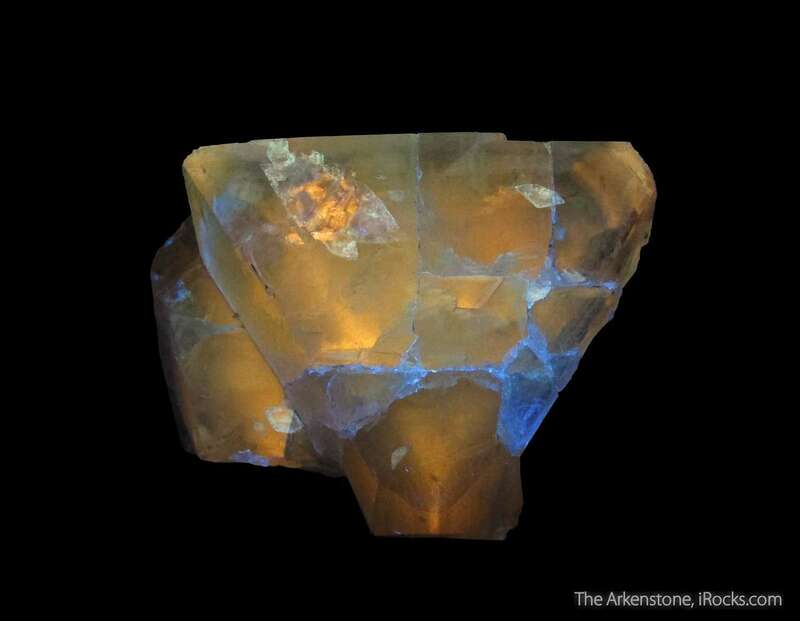 Most topazes are known simply by their color — yellow topaz, blue topaz, etc. Reddish topazes have a trade name, imperial topaz, inspired by their association with the Russian Czars. These medium reddish orange to orange-red gems are incredibly rare and valuable. They make up less than half a percent of all gem-quality topazes found. Red topaz crystal on display at the Natural History Museum, London, England. Photo by Aram Dulyan. Public Domain. However, there is some disagreement among gem traders over what colors should be classified as imperial topaz. Some gem traders limit the definition to medium reddish orange to orange-red. Others extend this range to include yellowish orange, orangey yellow, yellow with reddish pleochroism, and even pink. 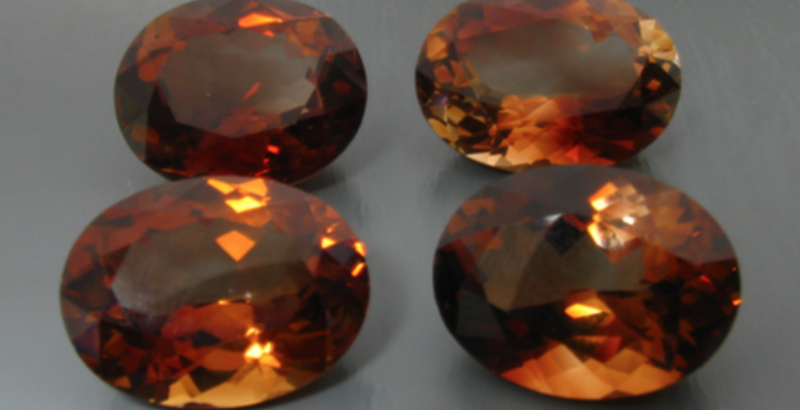 If you find imperial topaz for sale, confirm the specific color it shows. These matched imperial topazes have a soft yellow color with no brown undertones. 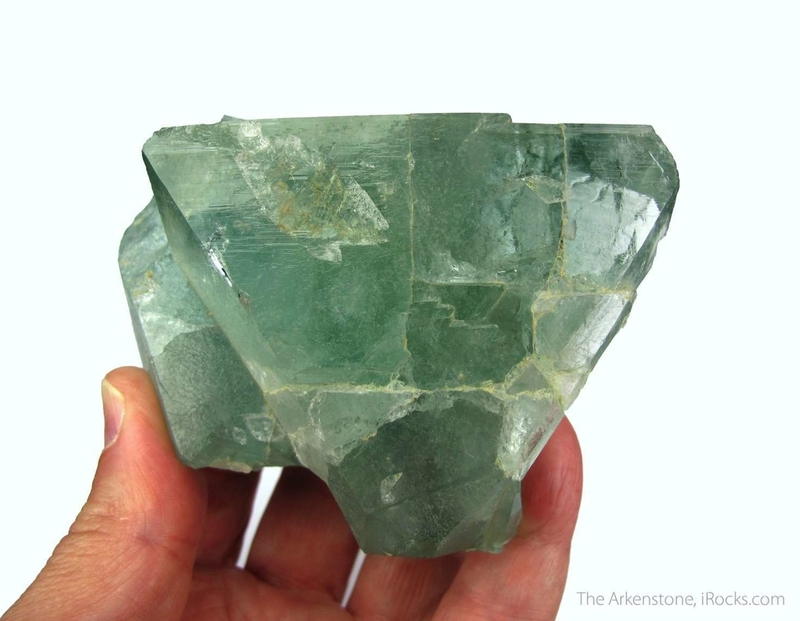 2.69-ctw, 9.3 x 5.7 mm, brilliant pear cut, Brazil. © The Gem Trader. Used with permission. Imperial topaz is usually untreated, but some yellowish brown stones are heated to become reddish in color. A few stones may also be coated to achieve a desirable color. Imperial topaz averages $85 per carat for sizes one carat and smaller. Stones between one to three carats range roughly around $100 to $1,00 per carat. Jewelry enthusiasts love pink or rose topaz, since it may resemble pink diamond or pink sapphire but generally at a fraction of their price. It also occurs in much larger sizes. In sizes three carats or smaller, pink topaz ranges from $200 to $300 per carat. Stones of extraordinarily large size can reach $5,000 per carat. 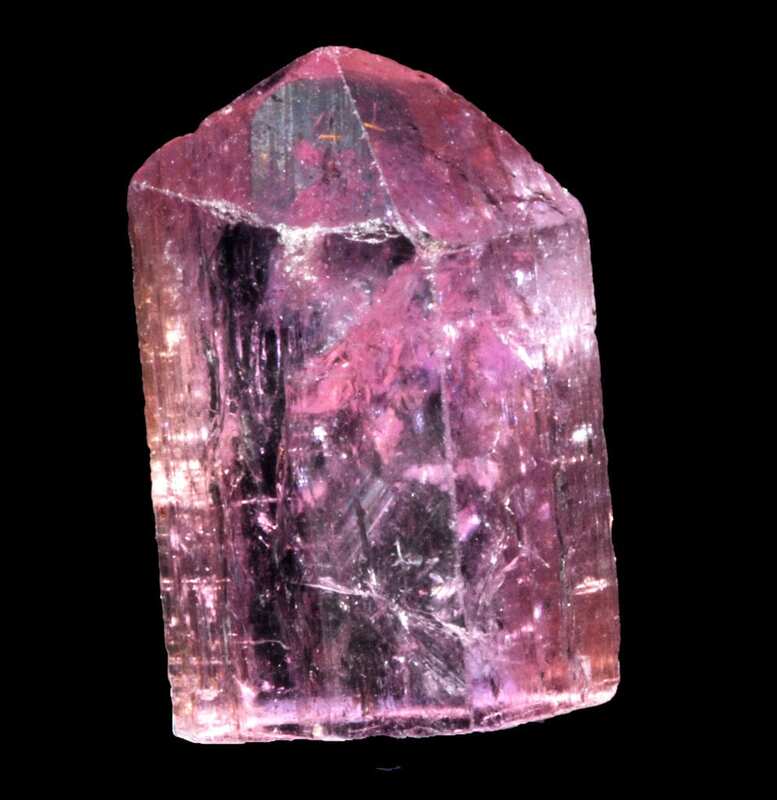 Pink topaz crystal from Minas Gerais, Brazil. Photo by Géry Parent. Licensed under CC By-SA 3.0. These gems sometimes receive radiation treatments, but exposure to heat and sunlight may cause the colors to fade. Sherry topazes do occur naturally in places such as the Thomas Range, Utah. Sherry topaz crystal, 3.7 x 2.8 x 2.5 cm, Maynard Claims, near Bixby, Thomas Range, Utah, USA. © Rob Lavinsky, www.iRocks.com. Used with permission. 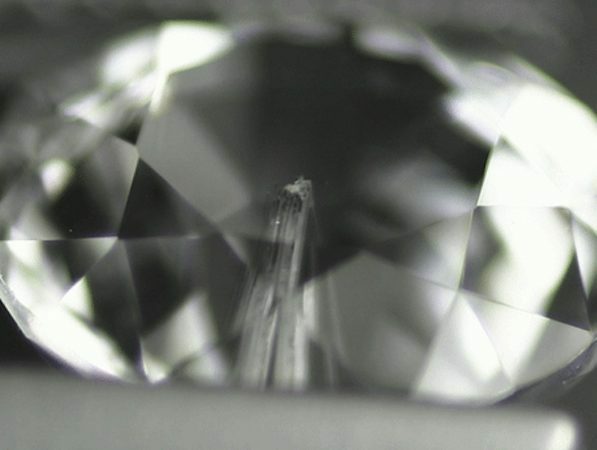 Some colorless topazes have been mistaken for diamonds, although topazes have less hardness and brilliance. Most famously, the Braganza Diamond of the Portuguese crown jewels was actually a 1,680-ct colorless topaz. 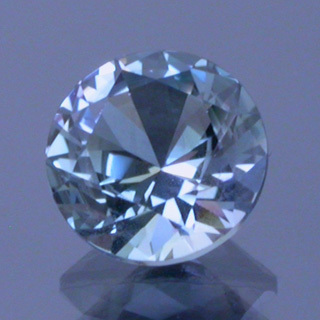 Colorless topaz is very common and ranges in price from $20 to $80 per carat. Mystic topaz is, usually, a colorless topaz that has been coated with metallic oxide. When applied to the pavilion or underside of the stone, this microscopic layer of titanium or other metal causes interference patterns when light enters the stone. This creates a variety of rainbow colors, like that of oil on water. 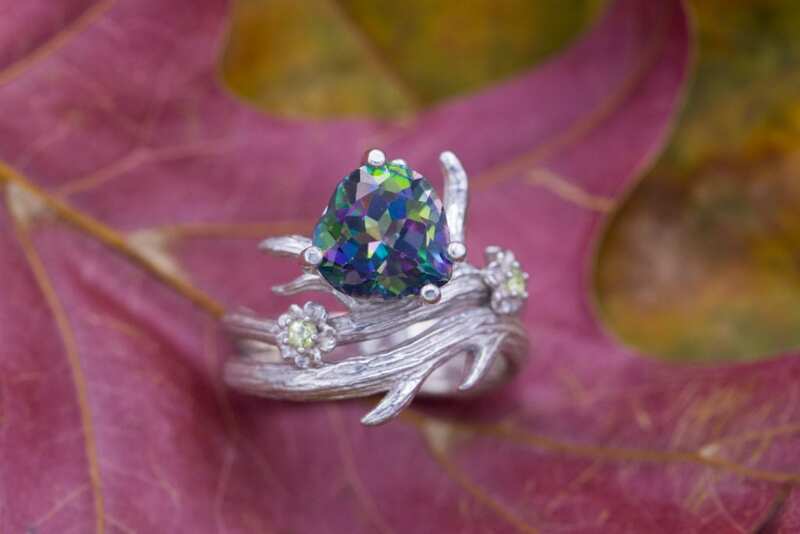 9 mm heart-cut mystic topaz with peridot accents in a branch-and-flower design. © CustomMade. Used with permission. Azotic topaz is another type of coated topaz. While mystic topaz tends to exhibit blue, green and purple colors, azotic topaz shows warmer colors such as red, orange, pink, and yellow. Although mystic and azotic topazes can be beautiful, be aware they require extra care during cleaning. Scratches can easily mar the color effects, plus the coating may not last permanently. Some topazes may contain rutile needle inclusions and can resemble rutilated quartz gems. Other topazes may contain golden, needle-like inclusions of limonite. If cut properly, these stones can produce interesting visual effects. 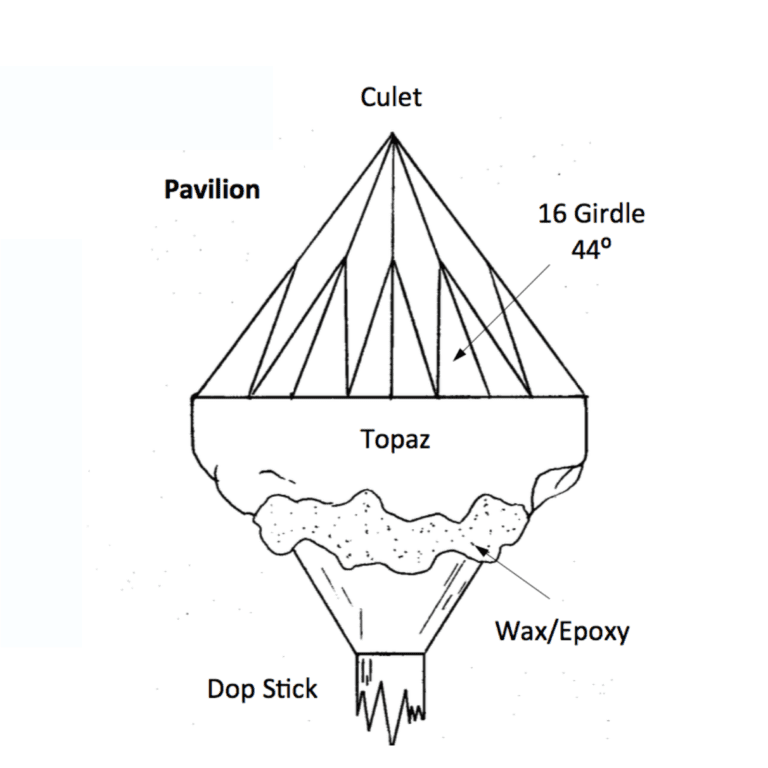 The gem cutter oriented the cluster of needles in this colorless topaz so that it points from the culet or bottom point of the gem to the table or top surface. As a result, the inclusions create a beautiful pinwheel effect when viewed from above. 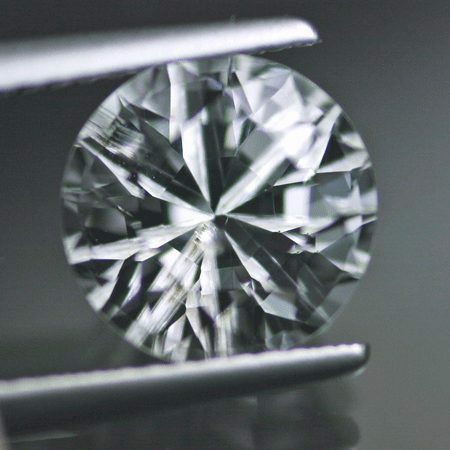 Round brilliant cut, 3.78 cts, 9 mm, Myanmar. © The Gem Trader. Used with permission. How Does Clarity Affect Topaz Value? Most topazes are considered clarity Type II stones. This means they usually contain inclusions — materials such as crystals, liquids, gases, and even fractures and voids. Some of these may be eye-visible, but they usually don’t detract from the gem’s value. However, blue, imperial, and colorless topazes are considered Type I stones. This means they usually have no eye-visible inclusions. Thus, any eye-visible inclusions in these colors would detract from the stone’s value (unless you have an unusual rutilated specimen). Topazes of other colors, beside blue, may have liquid inclusions, visible or not. Although minor inclusions won’t affect the stone’s value, liquid inclusions have more sensitivity to heat. They could expand and damage the stone during cutting or cleaning. What’s the Best Cut for a Topaz? 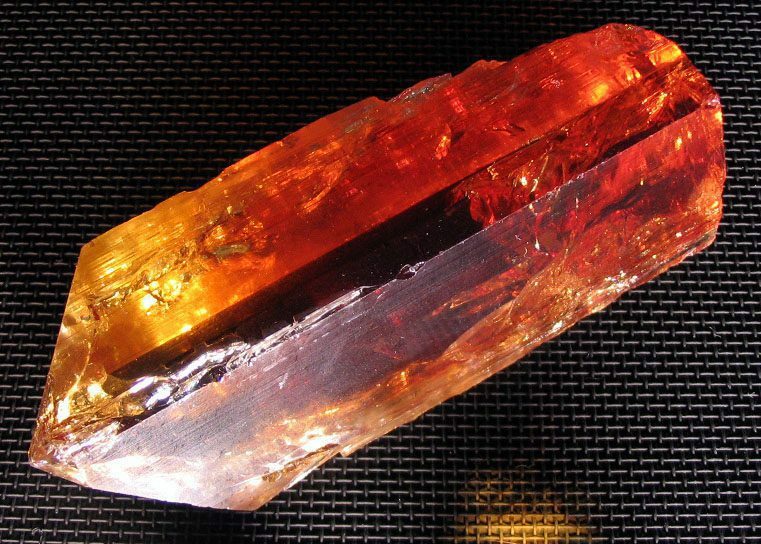 Topaz rough usually occurs in long, columnar shapes. Thus, ovals and pear shapes usually provide the best yields. Not surprisingly, you’ll find many oval and pear-shaped topazes on the market. 6 x 9 mm pear-cut Sky Blue topaz center stone with round moissanite accents in 14k rose gold. © CustomMade. Used with permission. Still, you’ll also find other fancy cuts like marquise and trilliant. Blue and colorless topazes sometimes receive checkerboard or fantasy cuts, since their large sizes and affordability can encourage experimentation. More expensive, strongly colored topazes sometimes receive emerald cuts, because this shape concentrates color and preserves weight. As with most gemstones, cut plays an important role in a topaz’s value. Poorly cut gems may show windowing (a washed-out section on the pavilion) and extinction (dark patches with no light return). You can check for windowing by waving any object behind the stone. If you can clearly see the object, the stone has windowing. Any kind of stone may show windowing, but light-toned gems and shallow cuts prove especially prone to having these see-though and pale areas. All stones have some degree of extinction, but black patches that cover an especially large area will make a gem unattractive. Oval, pear, and marquise stones may show a type of extinction called bowtie, where two black triangular patches meet at the belly of the stone. Keep topazes away from extreme heat and sudden temperature changes, which can fracture them. Most topaz colors are generally stable. However, some yellow to brown, reddish brown, or dark brown topaz may fade if exposed to heat or sunlight for extended periods of time. 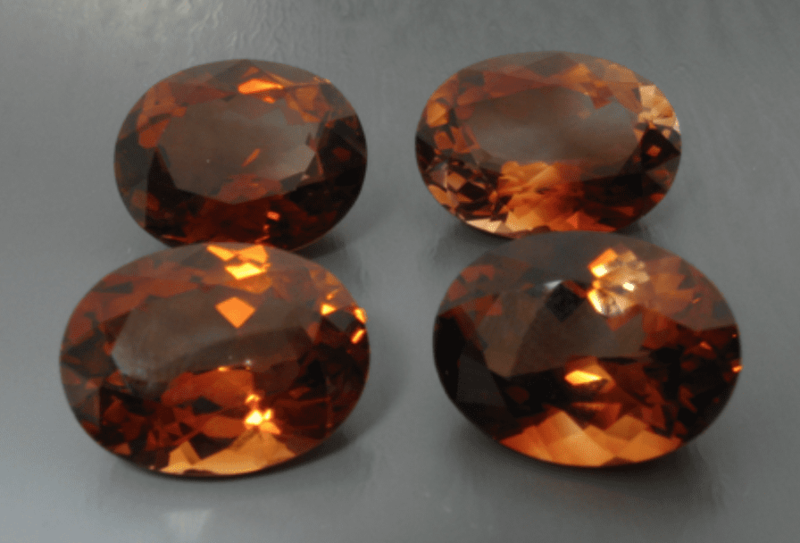 The Gemological Institute of America (GIA) tested a parcel of medium-dark smokey orange topazes to study how topaz can fade in sunlight. After exposure to sunlight, they became a light beige. These photos show some of the gems used for that study. Orange topazes, 82.10-ctw, and beige topazes, 46.45-ctw. © All That Glitters. Used with permission. Although topazes have no special sensitivity to common cleaning chemicals, as a precaution, stick to cleaning them with warm water, soap, and a soft brush. Avoid using mechanical cleaning systems like ultrasonic or steam. Coated topazes are particularly susceptible to damage and scratching from cleaning. Cleaning agents specifically designed for pearls and opals will be mild enough for mystic and azotic stones (as well as all other topazes). In commercial jewelry, blue topazes usually appear in simple but classic pendants, rings, and earrings, set with diamonds or cubic zirconia (CZ) in sterling silver or gold. However, due to their affordability, they can receive almost any custom cut and fit into any jewelry style imaginable. Blue topazes can also be used as statement jewelry because of their large sizes. 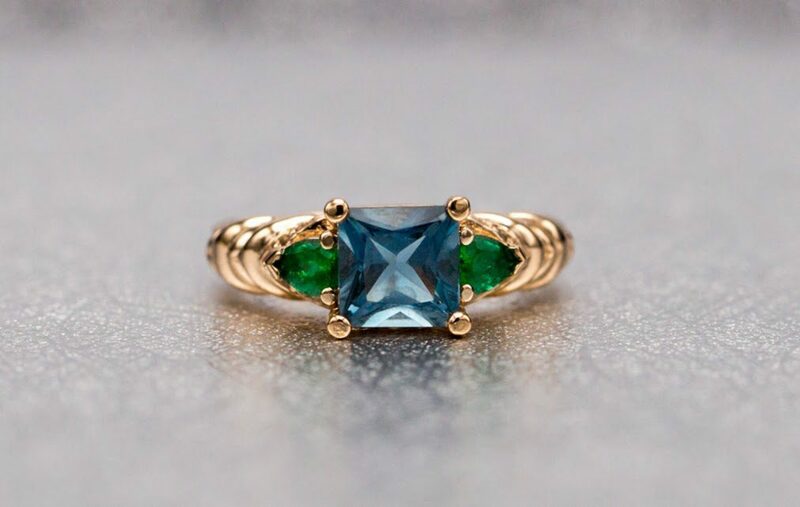 6 mm London Blue topaz center stone with 4 x 3 mm pear-cut emerald side stones and Swiss Blue topaz accents on the side of the shank in 14k rose gold. © CustomMade. Used with permission. Most blue topazes are set in white gold, which enhances the cool and clean appearance of the gem. Yellow and rose gold provide a nice contrast to the stone and makes the color stand out, especially for Swiss Blue and London Blue. Imperial topazes usually receive oval, marquise, or cushion cuts. Yellow gold complements their warm color. Stones with less elongated shapes often appear in halo settings. Diamonds flank many imperial topazes, and garnets and small topazes also often accent the color of a center stone topaz. 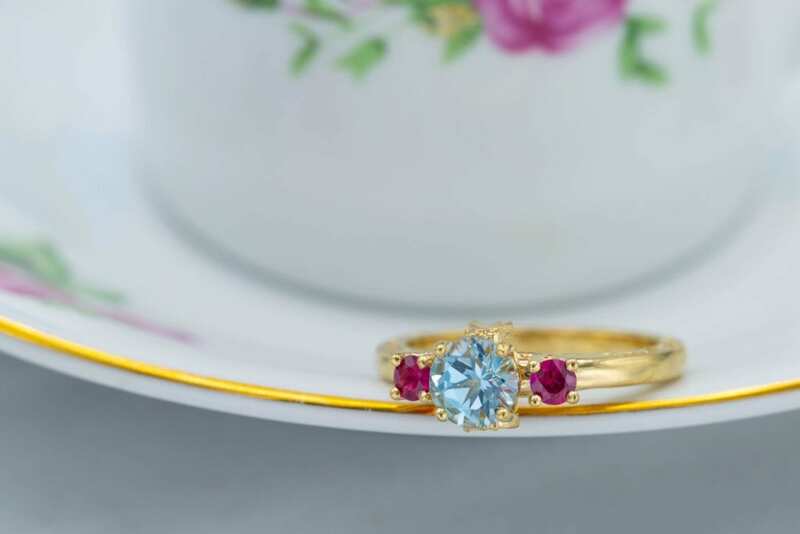 6 mm Sky Blue topaz and 3 mm ruby side stones with 18k yellow gold. © CustomMade. Used with permission. A gem lover and writer, Phoebe holds a graduate gemologist degree from the Gemological Institute of America and masters in writing from Columbia University. 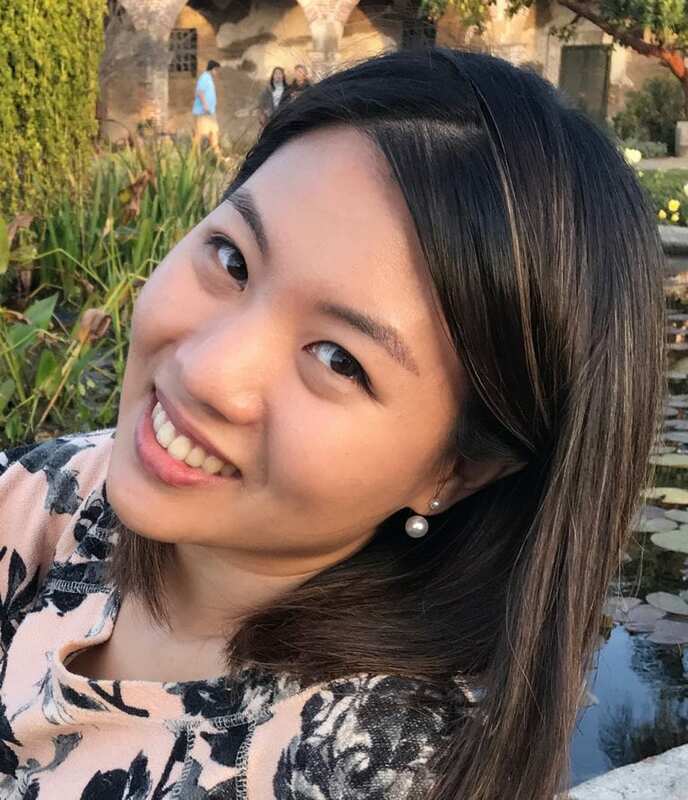 She got her start in gemology translating and editing Colored Stone and Mineral Highlights for a professor based in Shanghai. Whether in LA, Taipei, or New York, Phoebe spends her time searching for gems to design and being lost in good books.